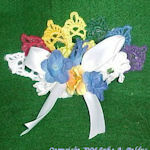 Pretty Posy Fridgie -- $1.99 A Crochet pattern from Julie A Bolduc. 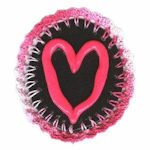 This pretty flower fridgie is made with a recycled water bottle cap and cardboard and is fast and easy to make. 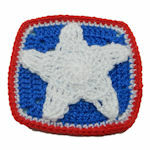 You could make these for your local Bazaar or give them as gifts!